The Tectorian of the Week for May 2 is MediaCore’s Christina Seargeant. Like that old Molson commercial, Christina Seargeant IS Tectoria. We see her everywhere, and we mean anywhere there is a tech-related event in Victoria, or a Victoria-related event somewhere else. Other tech companies in Victoria have an open house, Christina is there. Rifflandia? Christina hung out at the Tectoria tent a while. It was the same with Rock the Shores, VIATeC networking events… she’s there. Christina is there, representing Tectoria! 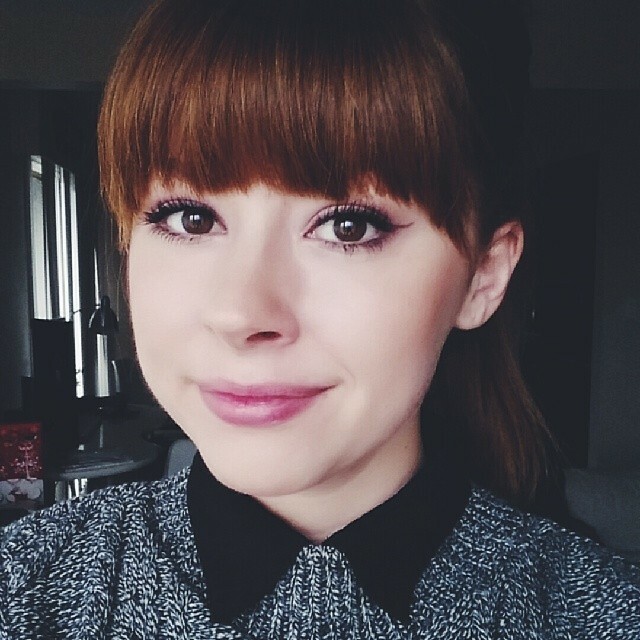 In short, Christina is an engaged, friendly member of the evolving Tectorian community. And she also demonstrates some of the awesome, latent creativity that is turning Victoria into a cultural hub. After she punches out each evening as operations manager at MediaCore, Christina turns her attention to her other project, csnaps photography, specializing in portraits and events. Her Instagram feed is really fun, especially if you like dogs. Christina also works hard to organize the annual TC10K road race in Victoria, BC, and she has managed Guitar Hero championship for the extremely cool Video Games Live. If you see her around town, make sure to say hi, and then join in whatever fun thing she is doing to help grow our community. 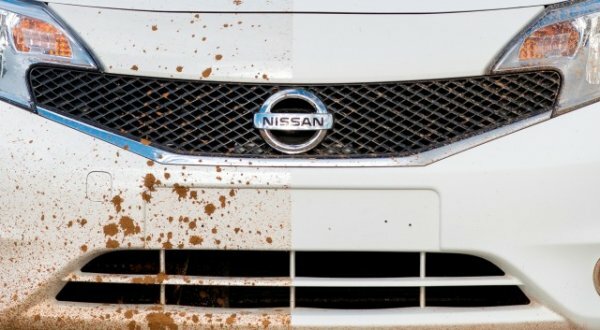 Through a very creative use of nanotechnology, engineers at Nissan have created a paint that itself creates a thin air shield above the surface of the car that makes rain, road spray, frost, sleet and standing water roll off the car without touching the paint surface at all – kind of like a force field. The ‘super-hydrophobic’ and ‘oleophobic’ paint finish called is called, quite pragmatically, “Ultra-Ever Dry.” Nissan says it gets some of its ideas for paint from bird dropppings. Nissan says it has no plans of making the special paint job a standard on factory models but it will consider offering the self-cleaning paint as an aftermarket option. Nissan is now attempting to determine if the material is durable for long-term use on vehicles – and if it will hold up in different weather conditions around the world. Broke Your Smartphone Screen? Just Swap It Out! 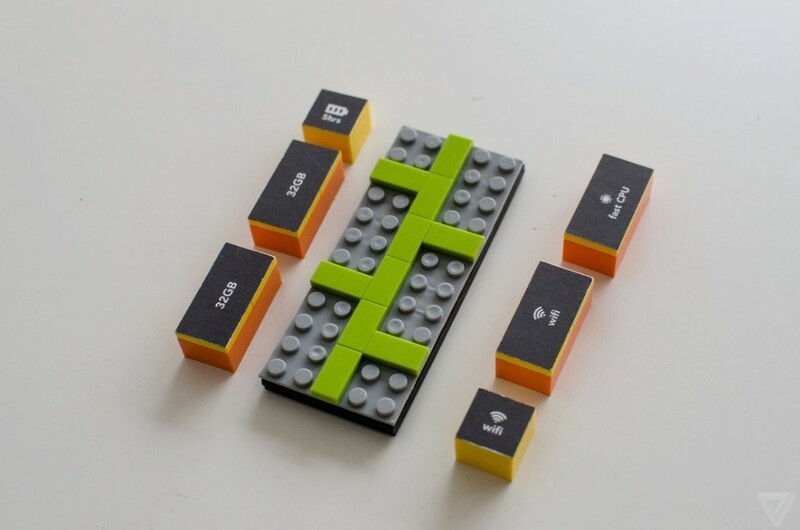 Google’s Advanced Technologies and Products Group (ATAP) is on a mission: build a modular smartphone. The most obvious and immediate practical application of a modular phone is that if you drop the phone and shatter the screen, you can quickly and easily (and, hopefully, cheaply) swap in a new one. Or if your battery runs out and you’re away from a charger, just switch to a new one. For ATAP and Google, the goal is to build a device that will make the smartphone accessible to the billions of people who can’t afford iPhones and Galaxy S5s. They plan to release the first phone in less than a year, so stay tuned. 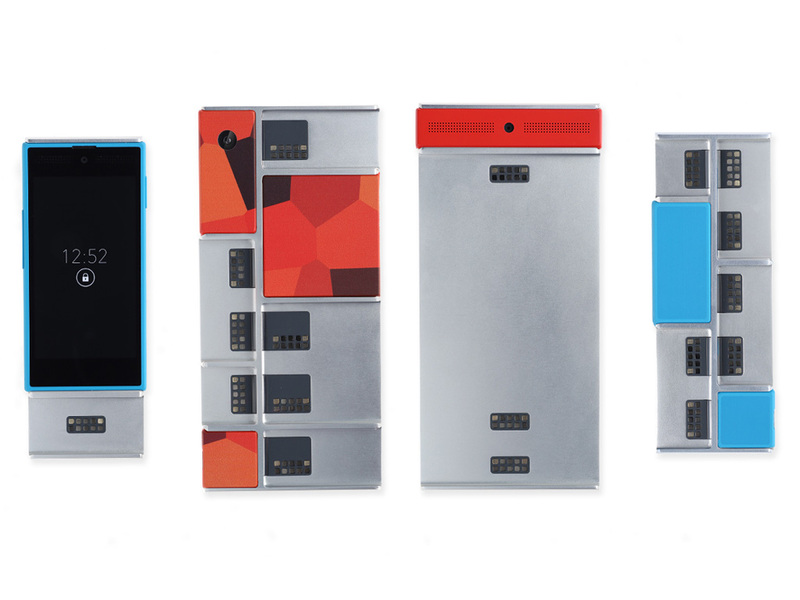 In the meantime, besides some great Project Ara eye candy, the Verge has a good breakdown of all the crazy phones you can make with Google’s Project Ara. Our Tectorian of the Week for April 25 is Warren Brown, chairman of Procura. Why Warren, and why now? Warren Brown and the team at Procura together represent all of the potential of Victoria’s tech community, and show where we’ve been and where we’re going. Founded in Victoria twenty years ago (that’s basically before email and internet were a thing, and before there was much in the way of a tech industry here), Procura now provides software to 12,600 users and 600 agencies throughout Canada, the US and Australia. This company (conveniently headquartered near the future home of Fort Tectoria) also has offices in Chicago, Florida, Sydney, Melbourne and Brisbane. Like the majority of Victoria’s tech companies, Procura sells internationally, meaning the company often gets little recognition here in its own backyard. So Warren knows a thing or two about launching a successful startup and building a sustainable business. He’s been through just about every trial and tribulation a technology company can experience – Warren has not only survived but has thrived. And here’s the real reason why Warren Brown is the Tectorian of the Week: he gives back to the community by providing his knowledge and hard-earned insights to help his peers build their own tech businesses, right here in Victoria. 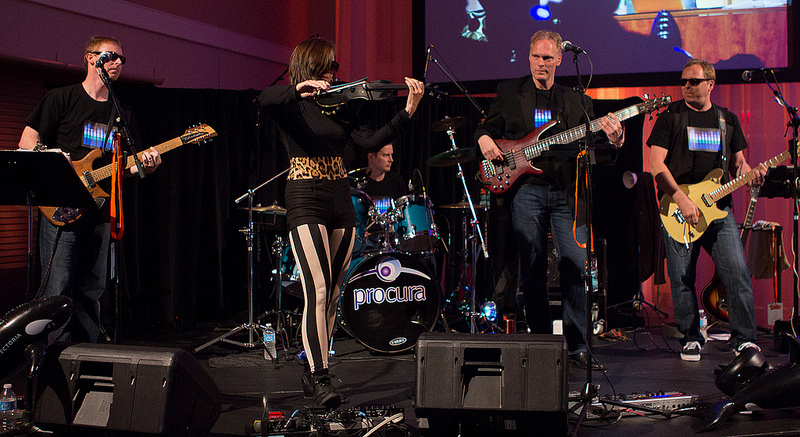 And let’s not forget that Procura sponsors the excellent live band that makes the annual VIATeC Technology Awards such a fun time. 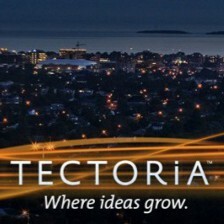 So Warren Brown and the team at Procura are part of Tectoria’s DNA. They’re part of our success, past and future. Our Tectorian of the Week for April 17 is Jake West, a teacher (among many other cool things) at the Pacific School of Innovation and Inquiry (PSII). As an educator at PSII, a local school devoted to helping young people “know the world in deep, connected and authentic ways,” Jake West is fostering the next generation of disruptors. In collaboration with VIATeC and Victoria’s Limbic Media, Jake and his students at PSII are working on a project for VIATeC that when finished, will tour to hundreds of conferences and events. Adam Foeller is VIATeC’s facilities manager. Adam is passionate about things that function properly, and was, like Dan, impressed by Jake and his PSII team. Currently, Adam says, the PSII students are in the process of running into roadblocks, attempting new iterations, and teaching themselves how to solve problems. What is Jake West’s role in all of this? In the tech sector, Jake says, credentials are not important. Students can lead and push limits right away. Stay tuned for project updates from VIATeC, Limbic, and Jake’s team at PSII. Jake and PSII are looking for bright, inspired students to study with them starting in September. Contact us for more information about this innovative school. If sitting is the new smoking, we all have one foot in the grave. While many of us toiling away in the knowledge economy have to sit to get any work done, sitting for any length of time during the day may reduce our life expectancy. So why not stand and work at your computer? Stand Desk, a San Francisco-based startup, has an answer to that. Billed as the “most affordable automatic standing desk so far,” Stand Desk launched a Kickstarter campaign and reached its goal of $50,000 in 38 minutes. Indeed, still with over a month to go, 886 backers have already pledged a whopping $339,435, blowing the original goal out of the water. What makes Stand Desk so popular? First of all, the benefits of standing desks in general are pretty clear: increased productivity, energy, and reduced lower back pain. Standing desks can also prevent or reverse carpal tunnel syndrome, and standing for part of the work day can also prevent metabolic syndrome. However, standing desks typically sell for thousands of dollars. They’re expensive. Stand Desk’s price? $399, just a fraction of what other standing desks cost. Stand Desk is pretty cool. 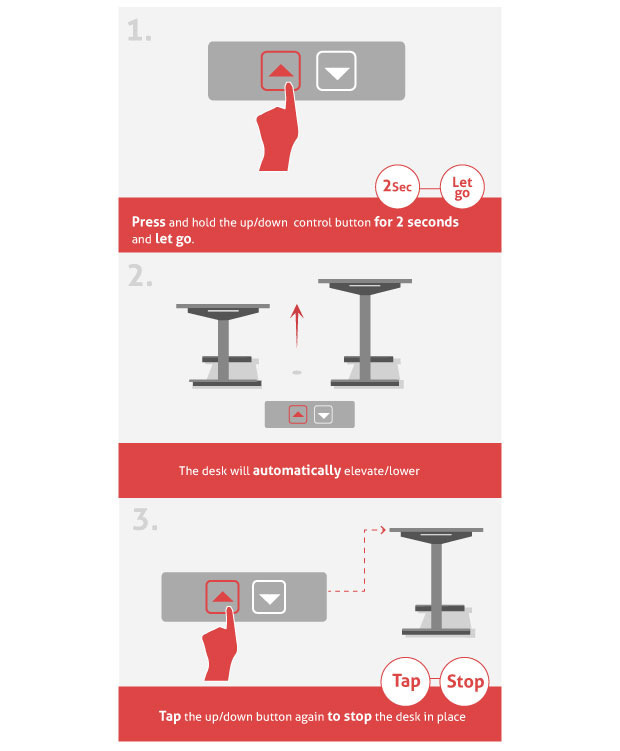 Simple motors automatically adjust the height of Stand Desk, meaning the desk can be used at sitting or standing height and adjusts at the press of a button. Stand Desk is also smaller than other standing desks, which means it is easier to introduce into established office layouts. Stand Desk made its product affordable by simplifying the mechanics that go into raising and lowering the height, with a range of 28 to 45 inches, which should accommodate people as tall as 6’3″. The desk top is made of bamboo or particle board. Stand Desk founder Steven Yu and his Kickstarter campaign even made Hacker News, where there is a great thread with helpful hints about how to ease into using a standing desk full time. Can You Help With Cool Aid’s Housing Development Plan? Can Tectorians rise to the challenge? Innovative Victoria community agency Cool Aid needs an additional 360 apartments to be there when people need us, and we plan to build them in the next 5 years. Look at CoolAid.org/endhomelessness for details on how. In 1968 people said a bunch of college kids would never end homelessness in Victoria. They hadn’t met Steve Jobs yet either. 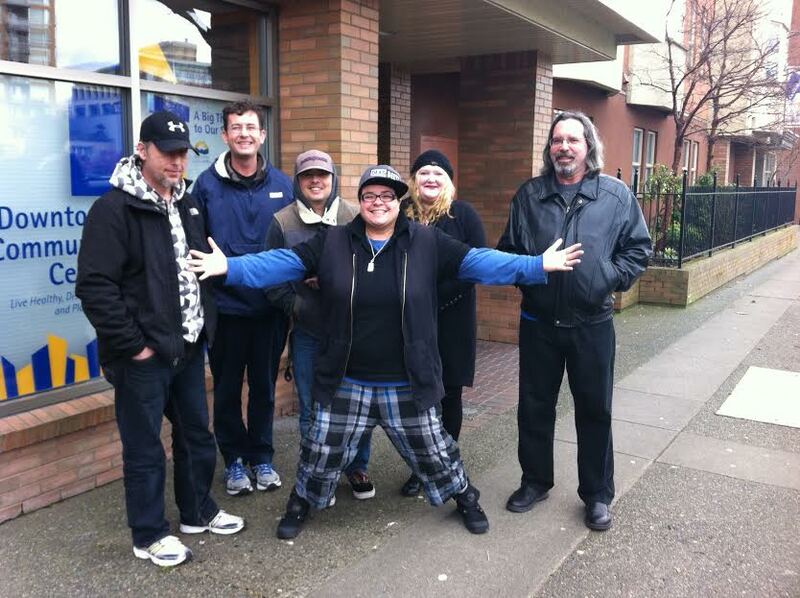 For 46 years the Victoria Cool Aid Society has provided innovative solutions to help people experiencing homelessness, addictions, and mental health issues. Not bad for a charity started by students in the basement of an abandoned church. 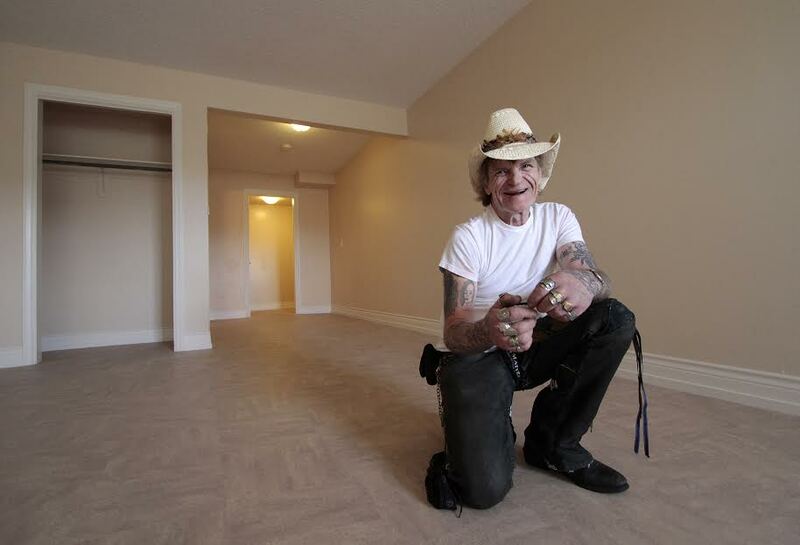 That abandoned church is now the Belfry Theatre, and Cool Aid now operates 14 facilities across Greater Victoria, including a full-service health centre, dental clinic, three shelters, a community centre, and nine supportive housing buildings. Cool Aid provides over 90% of our city’s emergency shelter beds, and helps over 9,000 individuals each year to overcome or completely avoid homelessness. You can understand why “avoid” is everyone’s first choice. Cool Aid is committed not just to helping folks struggling with homelessness, but putting an end to it by providing enough supported homes to have one ready when somebody loses theirs. When we talk about innovation, imagine a city without people sleeping on the streets, without families living in cars and tents in parks; isn’t that cool? It’s what Cool Aid is all about. More homes are what our city needs right now. Cool Aid has 374 apartments supported by trained staff 24/7, but there’s a waiting list 9 months long to get in. That’s far too long. Cool Aid can’t do it alone. Strong partnerships with the Coalition to End Homelessness and local government agencies will help, but the key to making it happen is individual backers. Once Cool Aid raises $5 million in community donations our partners will kick in the rest. Care to join us? 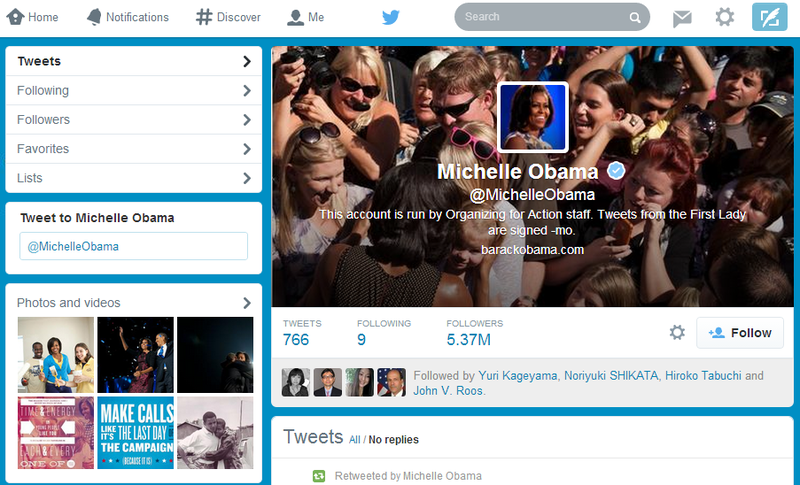 Twitter has been redesigned, and the new look and feel is said to resemble Facebook’s layout. 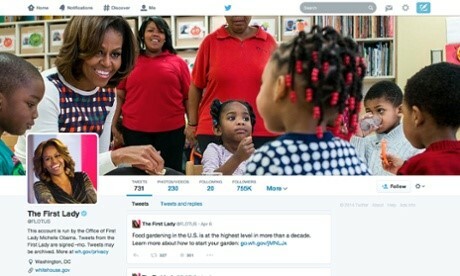 The Twitter blog announced the changes earlier this week, with the caveat that the redesigned profile pages are only effective for a select group of celebrity users for now, but will be rolled out globally in the coming weeks. If you really can’t wait, you can sign up for a new account to take advantage of the new look. While previously a user’s Twitter profile was a rather plain two-paned list of tweets, statistics, and hashtags, the new Twitter resembles a Facebook-style profile, with wide horizontal header images, bigger user pictures, and tabs for photos and videos, and followers. There are several changes to how tweets appear on your user page, too. You can pin a tweet, forum-style, to the top of your Tweets as an extension to your bio, which is less visible under the left-aligned profile pic setup. Your “best tweets,” defined by how much other users have interacted with it, will be enlarged to draw attention to them. New accounts get the redesign straight away (so the best way to see what the new layout looks like might be to create a new Twitter account), and all other Twitter users will see their profile pages change in a few weeks. 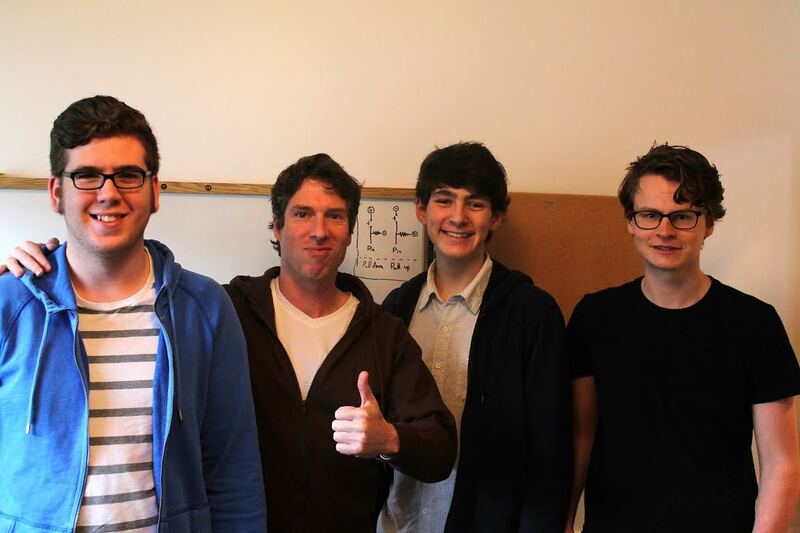 Our Tectorian of the Week for April 11 is TinyMob Games. …You may have heard of them in Tech Cruch. TinyMob unveiled their first game earlier today at the massive PAX East Boston gaming conference. It’s hard to believe TinyMob, led by Tectorians Chris Hoefgen, Alex Mendelev and Jamie Toghill, opened their studio last fall, just a few months ago. Besides getting critical home-town recognition in a glowing Times Colonist article today, TinyMob and its new game is also the subject of a longer Tech Crunch profile published just this morning. Tiny Realms, a Unity-based real-time strategy game for iPad and iPhone, looks like it’s going to be awesome, and it’s very cool that a Victoria-based company is creating eye candy that appeals to millions of gamers around the world. 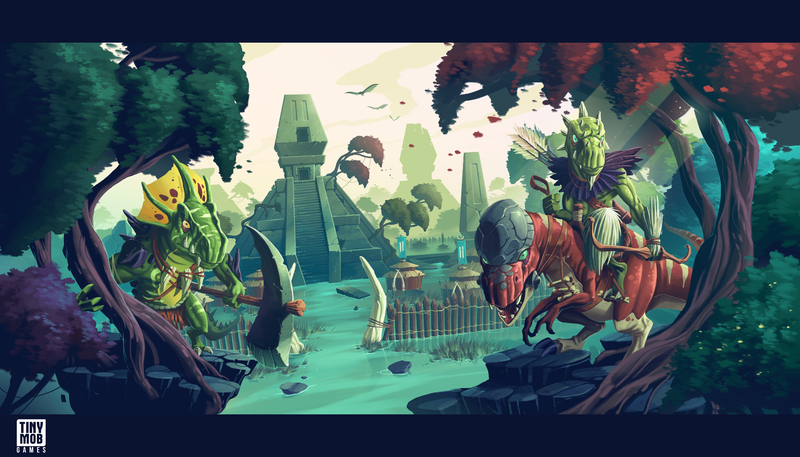 The game lets you build worlds, assemble armies, wage wars, and build empires. Tiny Realms is also generating a lot of exciting in a mobile games industry always seeking innovative ways to remain competitive and profitable. The team unveiled the name, images and a trailer of game play at the PAX East Boston gaming conference. The finished product will be released later this spring. 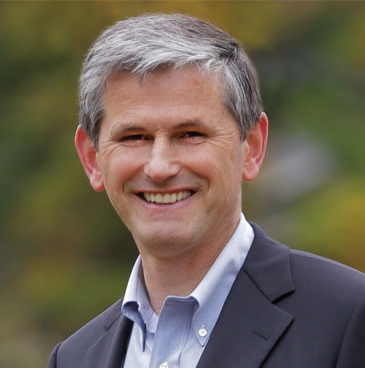 We want to acknowledge the hard work of Andrew Wilkinson, MLA for Vancouver-Quilchena and the provincial minister responsible for growing BC’s technology industry. Since becoming BC’s Minister of Technology, Innovation and Citizens’ Services about a year ago, Andrew has proven himself to be a champion for tech entrepreneurs and tech companies in Greater Victoria and the rest of the province. In short, Andrew is helping grow and celebrate the success of innovation, right here in Victoria and every corner of BC. We Tectorians think he deserves some recognition! The other day, Dan Gunn, Rob Bennett, and Accelerate Tectoria’s very own Crowd Content attended Cascadia Startup Day in Vancouver. The event is organized by BC’s leading technology incubators, including Wavefront, one of Accelerate Tectoria’s partners in the BC Acceleration Network. The BC Acceleration Network itself is funded and supported by our friends at BC Innovation Council, which itself works closely with Andrew Wilkinson in his role as the provincial minister responsible for growing BC’s tech sector. So, Cascadia Startup Day features a high-energy pitch competition that connects tech entrepreneurs across the Cascadia region with investors, media, and industry professionals. Dan, Rob, and Crowd Content worked hard all day to mingle, network, and spread the word about Crowd Content, and… it worked! After a few hours, Crowd Content was selected from between 25 other start-ups to be among 5 “finalists” to give a public pitch to 500+ attendees. By the end of the afternoon Crowd Content was already talking with potential new customers. While the Tectoria team was working the room, Andrew Wilkinson actually came looking for the VIATeC contingent, hoping to catch up with what’s happening in Victoria tech scene. Government ministers are typically busy (and popular) people at events like Cascadia Startup Day, so it was really notable that Andrew was able to make time for Victoria’s tech community. Then, when it was time for his presentation about BC’s booming technology industry, Andrew began by acknowledging the hard work of organizations like VIATeC and Kelowna’s Accelerate Okanagan in growing BC’s regional tech sector. Andrew gave some highlights of a recent BC Stats report about the explosive growth of the tech sector in every corner of BC. Read the report here. It’s great to be remembered and acknowledged, especially when there is so much good news already coming out of Andrew’s home turf of Vancouver and the Lower Mainland. It can be hard to keep up, but Andrew Wilkinson has consistently championed tech companies in every corner of the province. Building a strong, vibrant tech sector that creates plenty of high-paying jobs is truly a team effort, and we want to give a shout out to Minister Andrew Wilkinson, thanking him for his hard work!